Unique safety vent technology - innovative pop up vent means more heat can be created inside Solo to maximise sterilisation. Ideal for travel, overnight stays and days out. Lay flat lip - prevents rolling over in microwave. 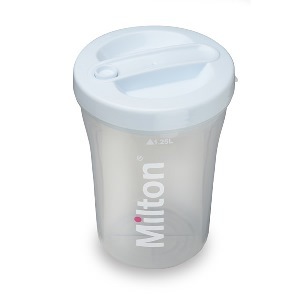 Fast and easy - Sterile in 2 mins* using a microwave, 15 mins uing the Milton cold water method (note: requires Milton Anti-bacterial tablets/solution, sold separately). Watertight, 19cm high, 13cm wide. 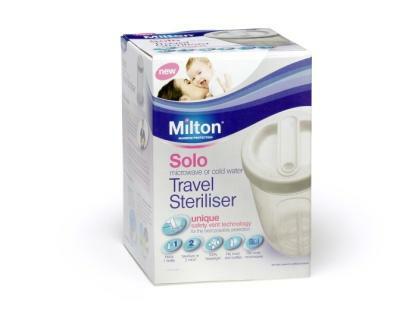 Stays sterile for longer - contents stay sterile for 24hrs in Milton solution or unopened microwaved Solo unit. Made by Milton, trusted since 1916. 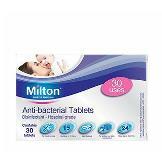 Note: Milton Anti-bacterial Tablets / Solution are only required with Cold Water Sterilisation. The microwaving method only requires water.